What is a Radius Toothbrush Made of? At RADIUS® we do things a little differently. RADIUS wanted to steer clear of the petroleum-derived versions used by most other toothbrush manufacturers, which are saturated with harmful chemicals and toxins you wouldn’t want going anywhere near your mouth. 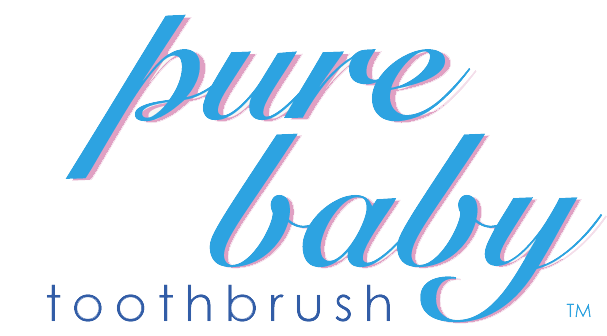 We also decided to omit natural bristles from our toothbrushes, as they’re typically harder and harsher on the gums, and break frequently and easily. Our solution is to use dye-free bristles made from vegetable- based nylon, shipped all the way from Europe to our specialist bristle manufacturer. Made from castor oil, they absorb very little moisture and have the ability to bounce back to their original shape after use, making them softer and longer-lasting than the alternatives. Most toothbrushes use common plastics — such as fossil-fuel plastics derived from petroleum — to construct their handles. It’s the standard way of doing things, but RADIUS toothbrushes are anything but. At RADIUS, we use bioplastics, which are derived from renewable biomass sources (like vegetable oils and timber), agricultural byproducts, or even recycled plastic. Why is this so important? Because bioplastics are not only better for your health, they’re better for the environment, as well, requiring less fossil fuels and energy to produce (resulting in fewer greenhouse gases). Plus, they’re mostly biodegradable, so they won’t contribute to long-term waste in our landfills. For the Original® we use cellulose, derived from sustainable-yield forests. The supple SCUBA® has two high-tech, lightweight, oil-based materials (no natural substitute exists) as well as recycled-rubber, that are flexible under pressure. That’s why we recommend it for more heavy-handed brushers. The Source™ utilises renewable, petroleum-free, biomass materials composed of recycled wood, paper and used dollar bills, coated in a layer of polypropylene. The KIDZ®, Totz™, Totz Plus™ & Pure Baby® toothbrushes are also made from virgin polypropylene, which is strong and light and free from all nasties including latex, phthalate and hazardous BPA — making it perfectly safe for your children. We’re always working to improve our packaging. Over the years we’ve explored cardboard, recyclable plastic, and even a more permanent box that doubled as a travel-case, but the carbon footprint was too significant. In 2005, we started investigating lighter packaging and the potential of plant-based plastics to reduce our environmental impact. We switched to a mock clamshell with a clear plastic front and a card section that can be made from recycled materials.